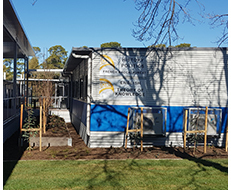 Canberra’s public school facilities are being renewed with new learning spaces, toilets and change rooms, garden and horticultural facilities, heating and cooling upgrades and energy efficiency improvements. 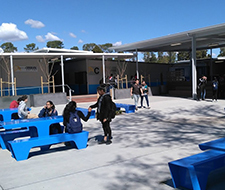 Belconnen High School is receiving refurbished technology areas, upgraded outdoor learning and teaching environments and roof replacements. 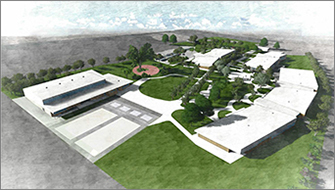 While other projects will expand the capacity of Harrison School, Gold Creek School, Neville Bonner Primary School and Palmerston District Primary School and increase the capacity of the new primary school in North Gungahlin, creating room for another 844 students. We will also carry out scoping and early planning for new schools in the Molonglo Valley and East Gungahlin, to ensure good local schools grow alongside these new communities. 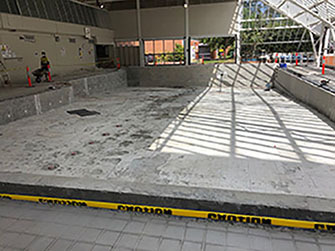 The pool facilities at the Active Leisure Centre at Erindale College have been undergoing works to repair tiles that have been lifting off the walls and floor of the main pool. These repairs were due to be completed by February 2019. 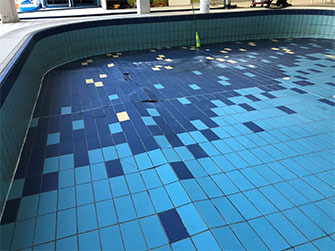 When the pool was drained and tiles removed, it became apparent that the concrete screed between the pool shell structure and the tiles had failed and this was the cause of the tile failure. The contractor commenced removing the concrete screed to uncover the pool shell structure. 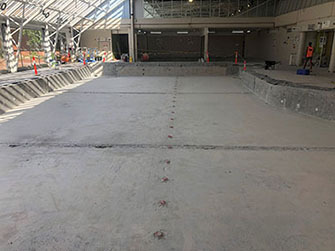 This work was completed in mid-December and unfortunately revealed further issues associated with the construction and expansion joints of the pool shell structure, electrical earth bonding and water filter outlet jets. 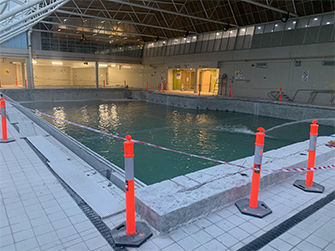 The additional rectification work to complete the repairs will now take longer with the pool now scheduled to reopen to members and the public by the start of Term 3, 2019. We understand the frustration of having the pool unavailable over this time of year and for longer than anticipated. However, with repair works of this nature, it is sometimes not possible to know the full extent of the issues underneath the surface until they are discovered. While all efforts are being made to complete the repairs as quickly as possible, it is important that these are completed to a high standard to ensure the longevity of the facilities for many years to come. 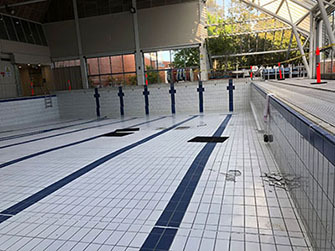 The Erindale Pool is an important community facility to encourage and support an active and healthy lifestyle. Regular updates will be provided to ensure the community is up-to-date with the progress of repairs and any changes to the reopening date. This new modern school facility opened in Term 1, 2019 and caters for up to 176 preschool and 600 primary school students, providing capacity for quality public education in this high-growth region. The planning will also allow for the accommodation of an additional 150 primary school students, and potentially a Years 7-10 expansion if required to cater for future growth. 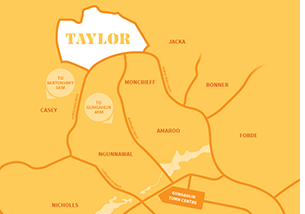 The school is the first community facility provided in Taylor, including two playing fields, and the wider community will be able to hire the school hall, oval and meeting rooms for a range of activities and gatherings. The school will also include a resource centre, canteen, out of hours school care facilities, and great outdoor learning and play areas. Like all ACT public schools, the new school will deliver the Australian Curriculum, with specific facilities to enrich learning in the arts, music, and Science, Technology, Engineering and Mathematics (STEM) to ensure we are equipping students for the best possible future. For more information visit the Margaret Hendry School website. Better schools for our kids is a key priority of the ACT Government who is investing in initiatives to improve our schools and build state-of-the-art facilities. A school modernisation has commenced at Campbell Primary School and Narrabundah College. Some buildings at both sites are nearing sixty years of age and have reached the end of their useful life. Over time, the fabric of the buildings has altered, and walls are subject to cracking. Due to friable asbestos material being present, some of the existing buildings cannot be upgraded. Therefore, these buildings will be safely demolished. The air monitoring levels have continued to confirm there is no detection of asbestos in the air. 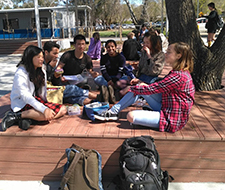 The installation of 22 new transportable buildings at Narrabundah College provides contemporary learning and teaching spaces, as well as break out areas for students, and a range of specialist learning spaces to support the quality learning we have come to know from Narrabundah College, and all our ACT public schools. These new spaces for the Science, Arts, English, Philosophy, History, Politics, Learning Support and French Baccalauréat faculties, will serve the students of this school community well, providing them with a comfortable, bright and spacious learning environment or ‘village’ as it’s affectionately referred to. The transportable buildings are fully insulated and have energy efficient reverse cycle air conditioning. Students and staff commenced teaching and learning in these contemporary classrooms at the start of term 3, 2018. The three aged double storey buildings, Blocks B, C & D (located at the northern end of the college site) have been closed off and will be demolished safely by expert contractors in periods when students are not at school. 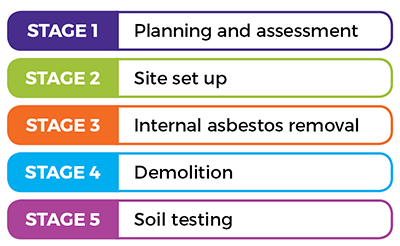 The demolition process will follow these steps and the work is expected to be completed in term 1, 2019. Narrabundah College will work with the college community to involve them in the planning and design of learning spaces for the future. The community will be informed about the opportunities to be part of this planning phase and we encourage the college community to think about the type of modern school they would like. The modernisation of Campbell Primary School is well under way with the demolition of the aged buildings (Block B and the Annexe) completed during the 2017/18 summer holidays. Students and teachers moved into the 10 new transportable learning spaces at the start of the 2018 school year. The ACT Government announced that the 2018-19 Budget will deliver $18.8 million to both replace buildings at Campbell Primary School with new, modern learning facilities and upgrade aging infrastructure. 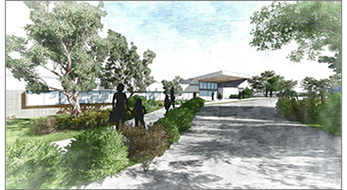 The construction of a new building and refurbishment of the Junior Wing and Library will be a part of the school’s modernisation and will occur over a period of four years. This work will deliver a contemporary learning environment and modern facilities for students, teachers and the local community. The school community has been working together to shape the future learning spaces at the school and this information will be used to develop the master plan for the new buildings and modernisation of the school. The Education Directorate has investigated which schools may have Polyethylene Aluminium Composite (ACP) materials installed as external facade cladding. ACP are predominantly used on the exterior facade of commercial buildings or as decorative cladding, particularly in newer buildings or those recently refurbished over the last 10 years. There is a risk that some panels may have combustible cores (eg: polyethylene). However, this risk is considered very low for our schools. It is also important to understand that all our schools have a high level of fire safety measures in place to support the evacuation of students and staff in the unlikely circumstance of fire. We have recently undertaken an assessment of all our schools and through this work identified that there may be some schools with ACP installed. However it is yet to be determined if these ACP have a combustible core. It is important to understand the risk is low and manageable at this time as the building has strong fire systems in place in the unlikely case of fire. However the Education Directorate has decided, as a proactive measure, to work closely with the ACT Government to identify any further risks and if mediation is required on any of our schools. If you would like to know more information about this issue, please speak with your school or call the Liaison Unit on 6205 5429 or online.